If you’ve been following me for a while you will know that I’m in love with the Weekview Planners. Why you may ask when I have my own planner inserts???? Because I have more than one project going on at a time and two businesses so I like to keep some things separate. Plus different planners spark different ideas. 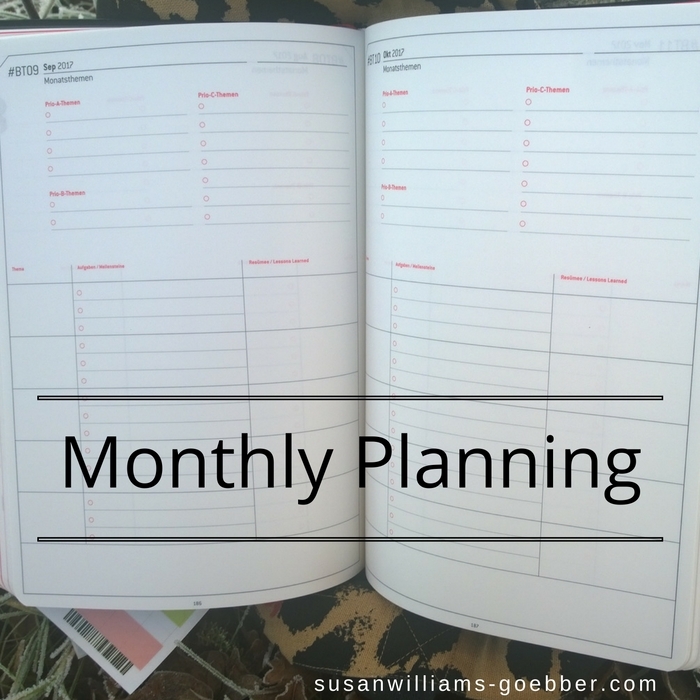 Let’s jump into this business planner. Before we start I have to say that 2017 planner is much better quality than the 2016 planner. This planner has a leather feel to it. It’s a soft cover and has a pen loop attached to it already, so no having to buy a Leuchturm pen loop to stick onto the planner. My planner came with a Frixion pen with the Weekview logo on it, I’m not sure if they come with all the planners but I know you can buy them here… It also has a pocket at the back to hold pieces of paper or stickers if you like. 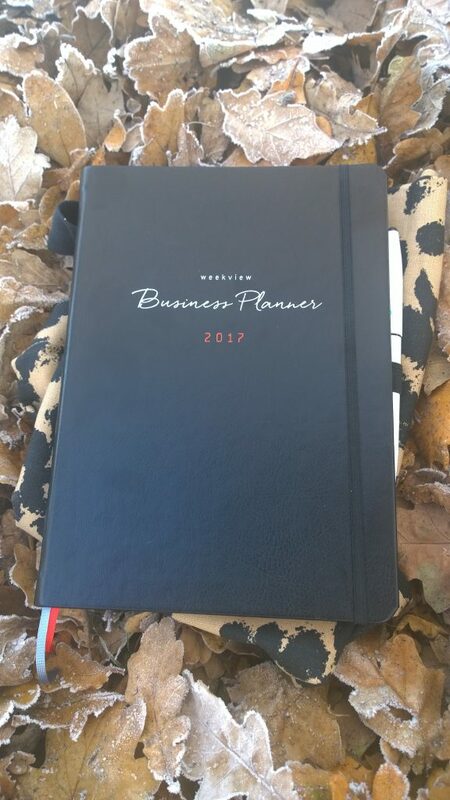 The inside of the business planner is almost the same as last years. 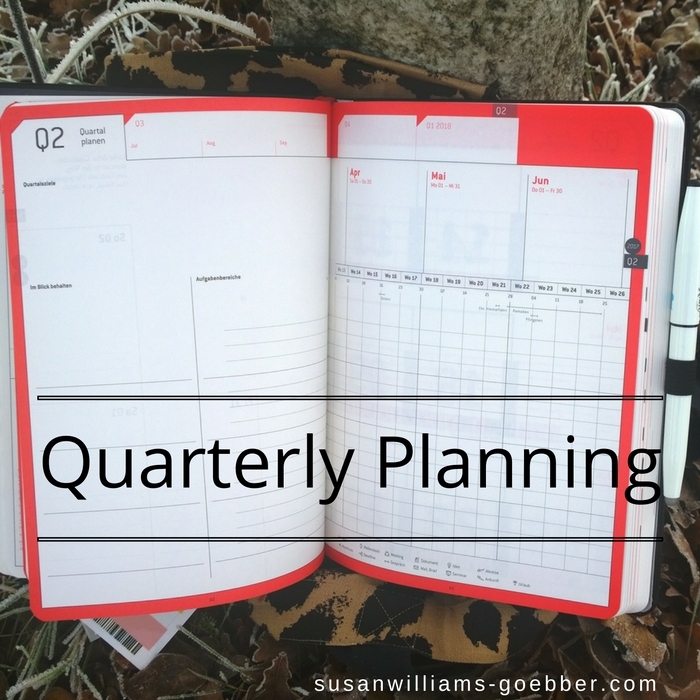 Here is a link to the 2016 business planner, blog post. On the right side of the page, there is room to reflect on your week. You can write down what went well and what you would have preferred not to have had happened. The to-do lists are now on the left-hand side of the page. Last week’s Sunday is smaller, (I never really used it so, I’m not upset by the change). It’s hard to see in the picture but on each day we have 8am till 9pm written in red very small on the left-hand side of each column. You can choose to use it or not. They are not in the way and could be overlooked. 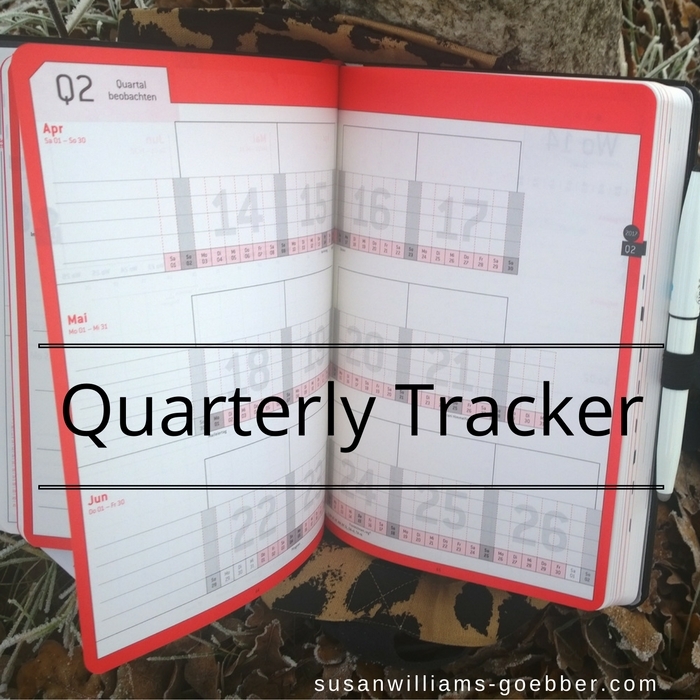 Here we have the quarterly pages to write down and track your goals, or projects, your travel dates or your meetings. You can even add in your due date for a paper, or when you want to write a blog post, YouTube videos and loads more. This page is where you can track things like your water intake, sports, medicine or health related problems. The good thing about this planner is that you can choose to use it any way you would like too. There is also a yearly list where you can log in your expenses. This is a very well made stitched, soft but sturdy, elegant planner. You wouldn’t be ashamed to take this to any business meeting. This year I like that they have added in tabs that you can stick on yourself. They give you a choice to use them or not, but I must say it’s way easier to find your way around your planner if you do use them. The planner has 2-page ribbons so you can find the week you are in, and maybe a note section you are using. What I also find very helpful is the monthly overview. Here you can decide if you want to add different projects and your appointments for them or family members appointments. Say for me I could have the first one as my personal, the second as my school and the third as my online business appointments. Or I could choose to have one for hubbies appointments. It has 3 small columns with the priority A,B,C which makes me think….. that you could write down your most important tasks in the 3 larger columns and tick them off as soon as you have done them???? I can only stress again, it’s up to you, you can use it any way you like. I can’t wait to dig into this planner and set it up. 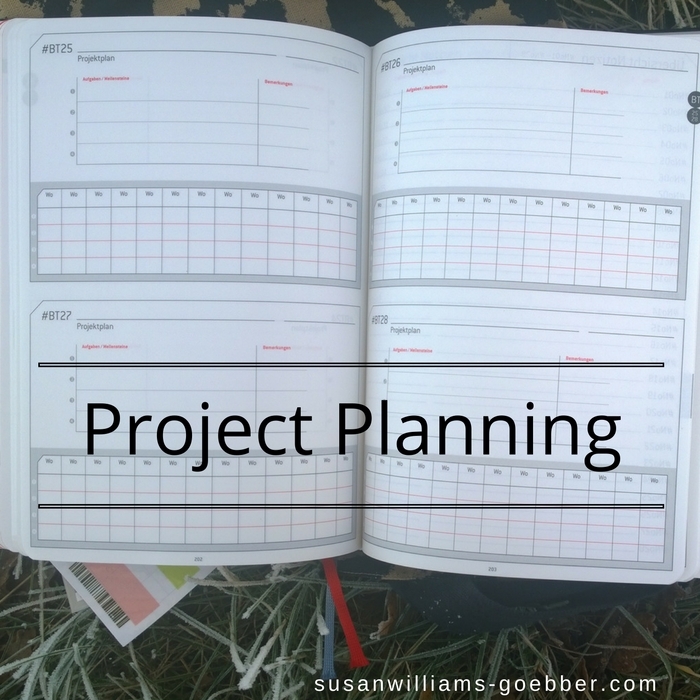 I will get back to you and show you how I have started to use this planner. 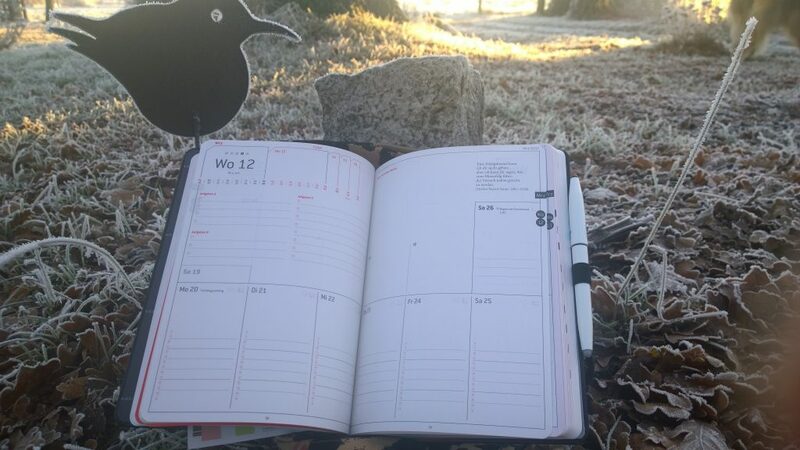 Here is a quick flip through of the planner to have a better idea of what it looks like. Please tell me what you liked about this planner. How would you use some of these pages??? ?